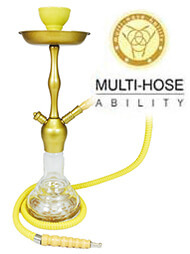 The Vapor hookah brand is a new generation of premium quality hookahs carried by SouthSmoke.com. 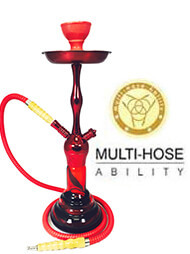 The modern day hookah smoker demands quality and convenience, and that is exactly what a Vapor hookah offers. Each Vapor hookah is thoroughly inspected during the manufacturing and assembly stages to ensure complete quality assurance. 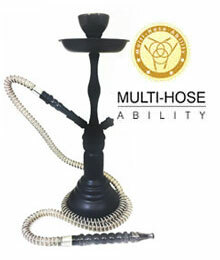 These Vapor hookahs are redefining the very principles of perfection never before seen within the industry! 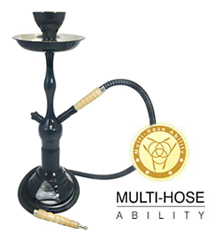 We want you to be as confident in purchasing a Vapor hookah as we are in carrying them. 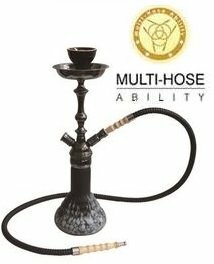 As your premier online hookah shop, we at SouthSmoke.com only carry the finest glass hookahs for sale. 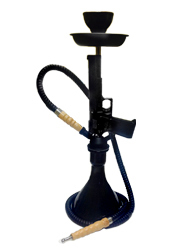 Vapor hookahs continue this tradition by creating a wide selection of hookahs to satisfy even the most discerning smoker. If you haven't tried a Vapor hookah yet, now is the time to change that! 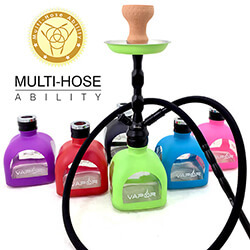 Vapor Hookahs come in many different shapes and sizes to accommodate a wide variety of personal tastes. They are made from a range of high quality materials and in a variety of styles including acrylic, all-glass, classic/traditional, exotic, gothic/polyresin, and modern/contemporary styles. 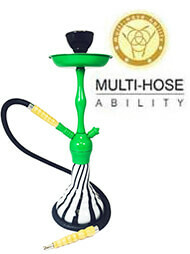 Experience the pleasure of smoking one of our many Vapor Hookahs and see what all the talk is about. 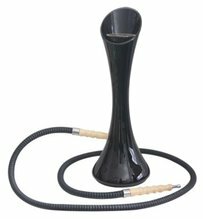 It will be very hard going back to the traditional ways of smoking hookah after experiencing the unique smoking concept of Vapor hookahs. Glass hookahs seem to be everywhere these days. 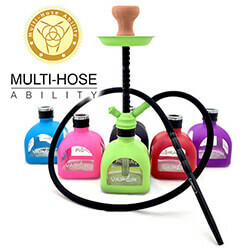 But if you want the taste of a true pioneer of the glass hookah scene, Vapor hookahs is for you! Using a combination of creativity, quality, and a meticulous crafting process, Vapor has created some of the most revolutionary hookahs on the planet. 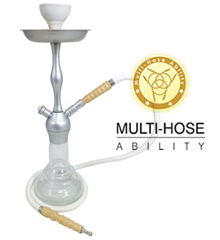 Caring for your glass Vapor hookah is simple, thanks to their convenient design. 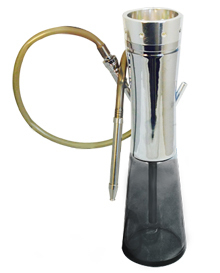 All Vapor Hookahs can easily be broken down for effortless cleaning and storage. Simply pull apart the various pieces of the main hookah body and wash them clean before setting your hookah back together for your next smoke. 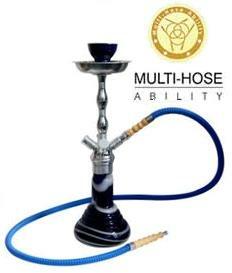 You may also choose cleaning supplies among our hookah accessories to keep your hookah in top condition. 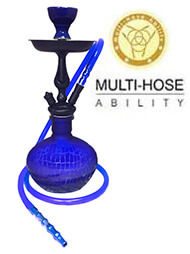 And just in case you happen to damage your glass Vapor hookah, we at SouthSmoke.com also carry replacement glass hookah parts such as glass hookah bowls so you can get back to enjoying your hookah as soon as possible. 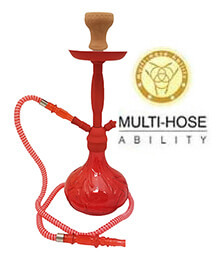 Many high-end Vapor glass hookah models come with a heavy-duty carrying case, complete with padding inserts and a key lock for maximum security to ensure nothing breaks. From bowl to base, an all-glass Vapor Hookah is truly a sight to behold. 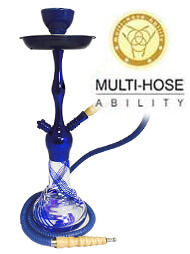 Now you can make sure your hookah stays that way by providing the proper care for it. Of course, you would expect a marvel such as a Vapor glass hookah to set you back quite a bit financially. 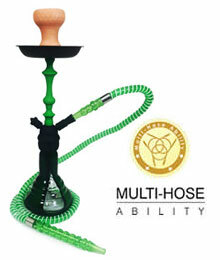 However, when you go through SouthSmoke.com you are choosing the Web's #1 choice for premium hookahs! Even our most painstakingly crafted Vapor hookahs are set at budget-friendly prices, so no one has to miss out on the hookah fun! 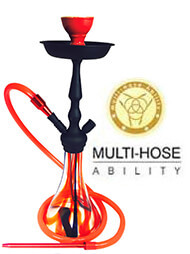 We have a whole line of small, affordable single-hose Vapor hookahs for you to choose from. These include favorites such as the Arctic, the Glacier, the Jinx, and the Pearl. 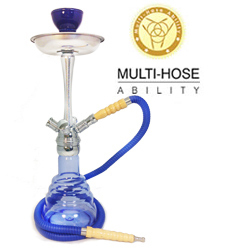 The small size of these hookahs make them ideal for transporting or keeping close at home for quick hookah sessions. Vapor's tall hookahs, even for their size and multi-hose functionality, won't cost you a ton of money. 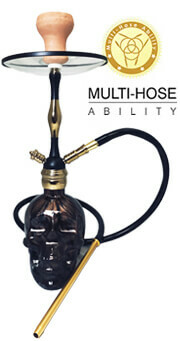 Vapor's line of premium all-glass hookahs include works of art such as the Gladiator, the Lotus, and the Torpedo. While more costly than many of Vapor's other options, one look at these hookahs and you'll instantly see why they are worth splurging for.